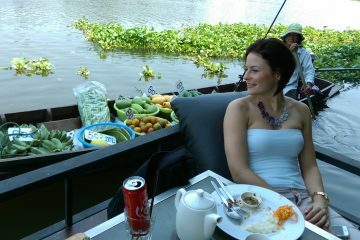 Bangkok Private and Custom Tours, Tuk Tuk, Walking, and Food Tours. 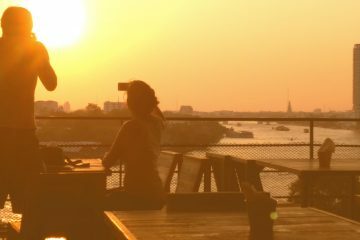 Watch beautiful panoramic sunset and Bangkok city's view from bird's eye view perspective. 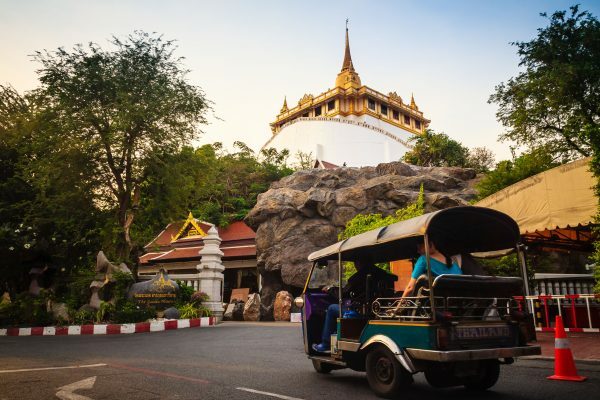 Explore Bangkok's off-the-beaten-path temples, visit local markets, try out local snacks and food and dining in at a local famous restaurant on this adventous 3 hours Tuk Tuk ride and 1 hour Long-tail boat cruise with small group of 6 people maximum. Create your own travel experience with your list of attraction and let our professional guides organize the rest for you. With our "Custom & Private Guided Tour Experience," you are totally in control of your travel. 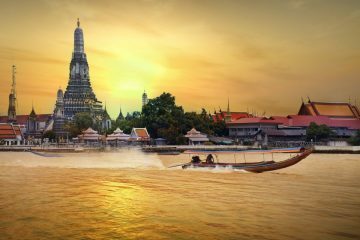 Viewing sunset over river with historical attractions in the background and cruise along canals on the Thai iconic long-tailed boat in the late afternoon exploring the riverside communities of old Bangkok. 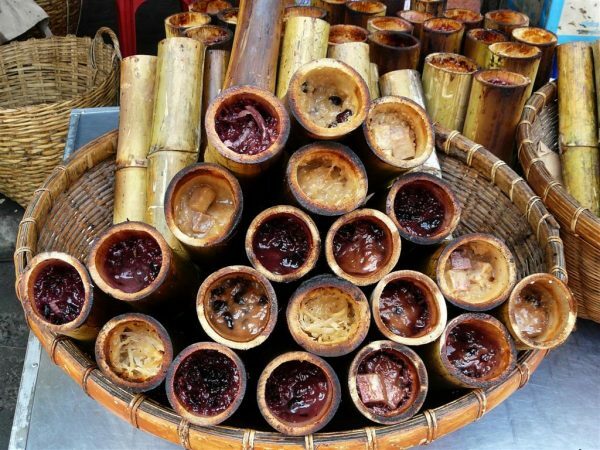 Enjoy 200 years old non-touristy neighborhoods and European influence around China town, watch sunset over the Chao Phraya River at a roof top restaurant and testing local street food with this off-the-beaten-path walking and food tour. Walk along the Chao Phraya River exploring the back streets through historic communities of Thai, Christian, Chinese and Muslim to undiscover the unique aspect of Bangkok. Visit the market with longtail boat to explore the deeper part of Bangkok's outskirt viewing old riverside villages and be fed with varieties of food offered at the market for lunch. With only 6-8 people maximum, our guide will be able to give each of our guests more exclusive personalized experience and attention. So you won’t feel left out. 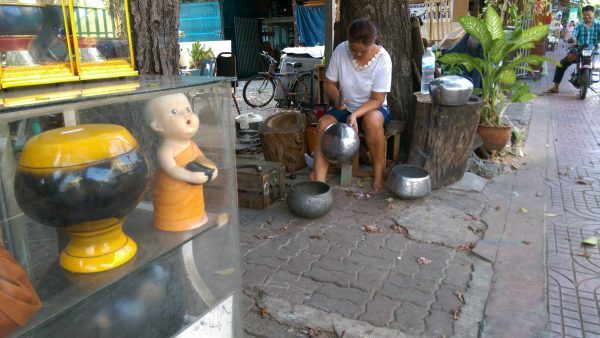 All experiences of our Bangkok private tours, Tuk Tuk tours, walking tours, and food tours focus on locality and interesting Bangkok perspectives that only the locals know. Well speaking English tour guides who know the western culture. Our customer service team will answer your inquires in a timely manner. The following are some of the reviews of Mr. Geng, the founder and experienced lead tour guide of Explorenique and his devoting guiding team members who have served travelers from around the world. Our team members have worked hard on each tour they did showing our delegates both mainstream and off-the-beaten-path experiences. Our works have been reviewed by guests on Tripadvisor. These reviews are for the tours and experiences such as “Bangkok Private and Custom Tour” and “Bangkok Tuk Tuk Sunset Long-tail Night Lights” etc. To watch VDOs click this. We spent the day with Mr Tee. He was so accommodation from the begining, as we were running late on the way from the airport. He was very understanding and helped put together an awesome first day for first time visitors. 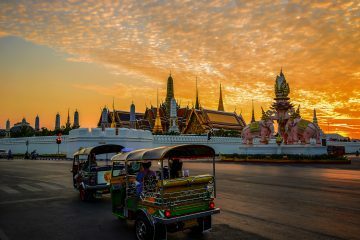 I’ve been to Bangkok many times – and seen quite a bit – this tour was excellent – it flowed well, we saw, ate, smelled, walked and got a real sense of what makes Bangkok such a great city – highly recommend the long tail/tuk-tuk/sunset walking tour. We had two tours with Explorenique: Khlong Lad Mayom Floating Tour and Tuk Tuk Sunset Night Light Tour, and were extremely satisfied with both. After being to Bangkok before I have spent a lot of time exploring the wonderful city and feel in love with it the first time I arrived. 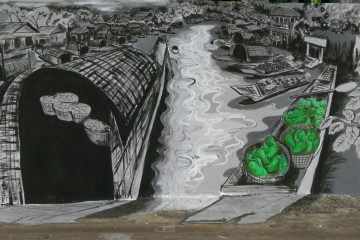 But my second time in Bangkok I wanted to see the part of the city and the local life, behind the stalls of the elephant pants and massages and tourists. It’s easy to find some good street stalls on your own- just wander down pretty much any street and you will find some- but to find the really best ones you need to know where to go. With Gege he will take you right to them and you will sample some of the best Thai food and street snacks Bangkok has to offer.